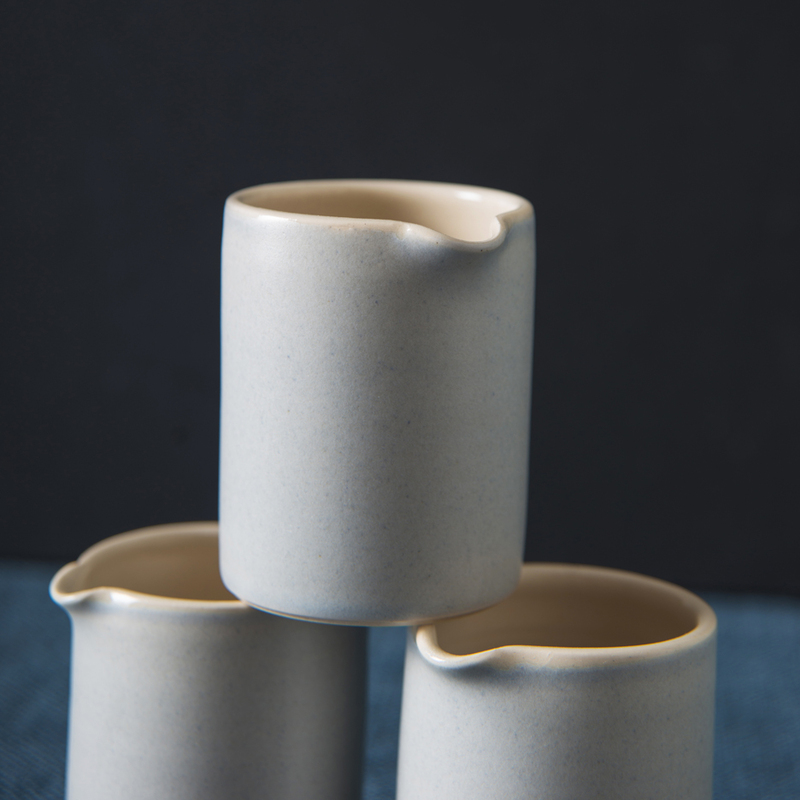 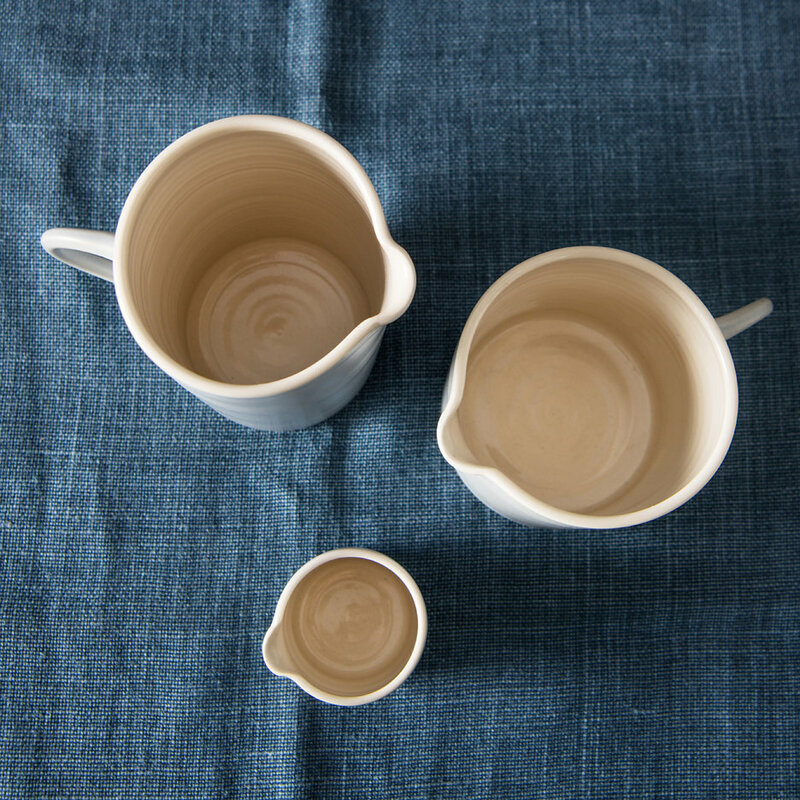 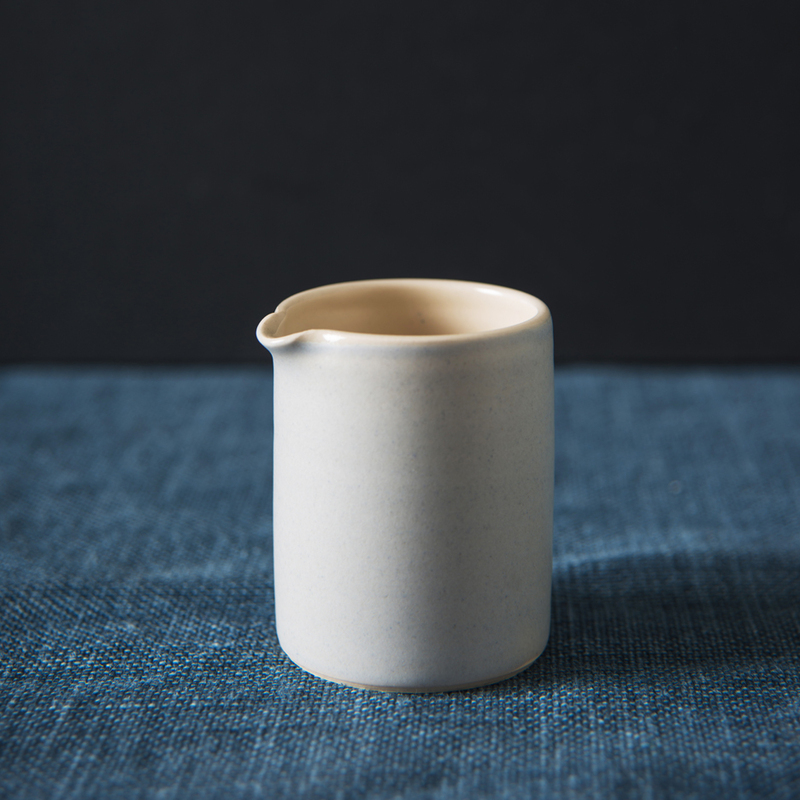 An incredibly tactile little jug – perfect for just a splash of milk. 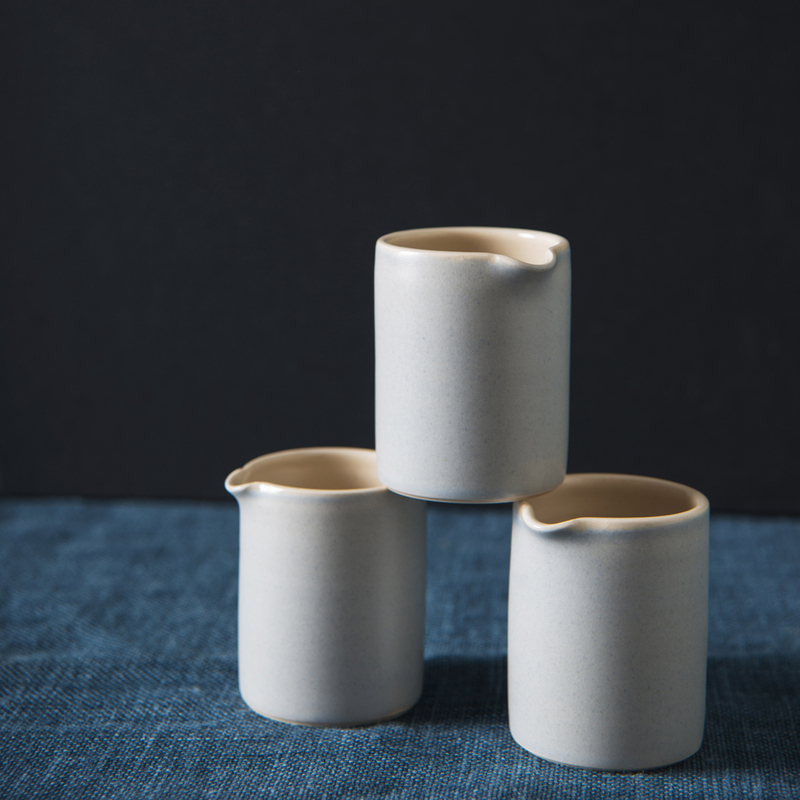 Hand thrown from stoneware and porcelain in South West France, it is a delight every time you use it! 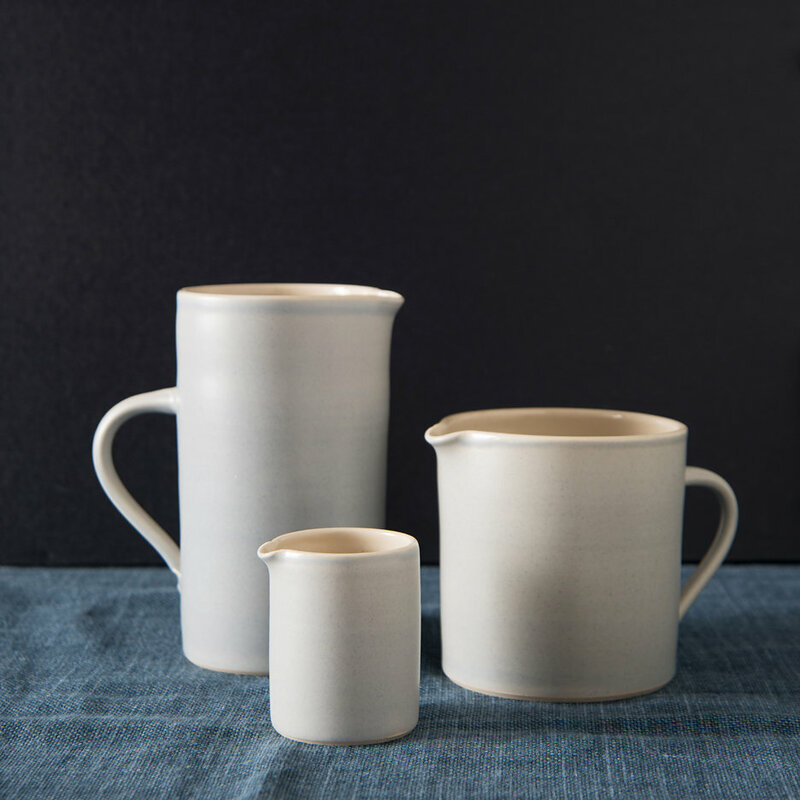 Elegant and simple in pale grey this little jug is a stylish addition to any kitchen.